Blueberries have potent antioxidant properties which reduce oxidative stress, which is the main feature of this disease. They also support the growth of new cells, which is also a way to treat depression. These fruits are rich n tryptophan, which is converted into 5-HTP by the brain. Afterward, 5-HTP is turned into positive neurotransmitters such as serotonin and melatonin. Moreover, bananas are also rich in potassium and magnesium, so make sure you have a couple of them daily. Avocados are high in potassium, 485 mg per 100 grams, and this mineral has been shown to treat stress and depression. Hence, make sure you consume an avocado during snack time, and some more during the day, as adults should get 4,700 mg of potassium daily. Dark chocolate, or specifically, the cocoa in it, boosts the levels of serotonin and dopamine in the brain and lowers the levels of cortisol, the ‘stress’ neurotransmitter. Make sure you get 40 grams of dark chocolate daily. Spinach contains more folic acid than all other dark leafy greens, and depressive people often lack it. Folic acid also boosts the levels of dopamine and serotonin in the brain. Spinach is rich in magnesium and improves the antidepressant effectiveness. Salmon contains omega-3 fatty acids, which soften cell membranes and helps serotonin to reach the brain. 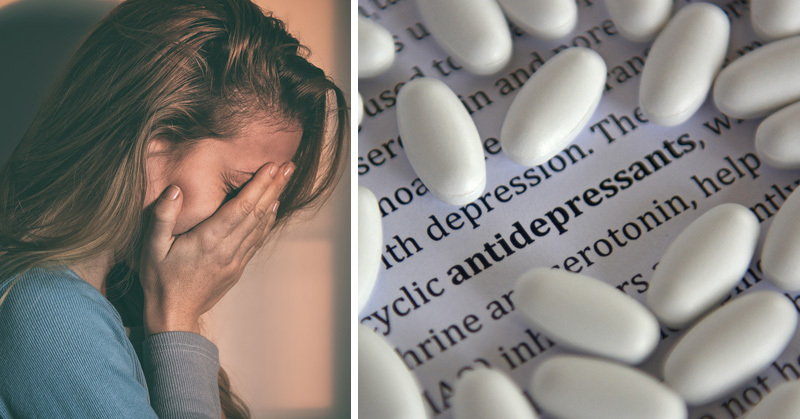 If you take anti-depressants, it will reduce the side-effects, and boost their effectiveness.